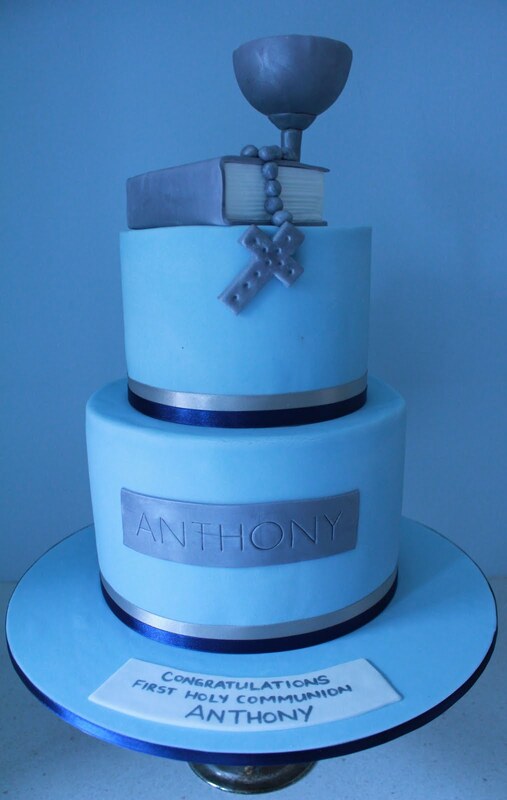 My most popular boys Holy Communion cake. I have made this cake in soooo many different colour schemes and versions! 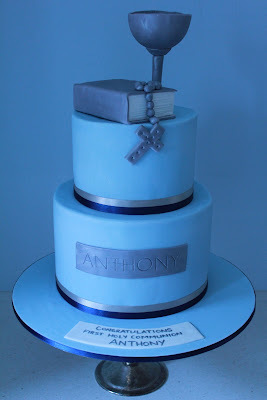 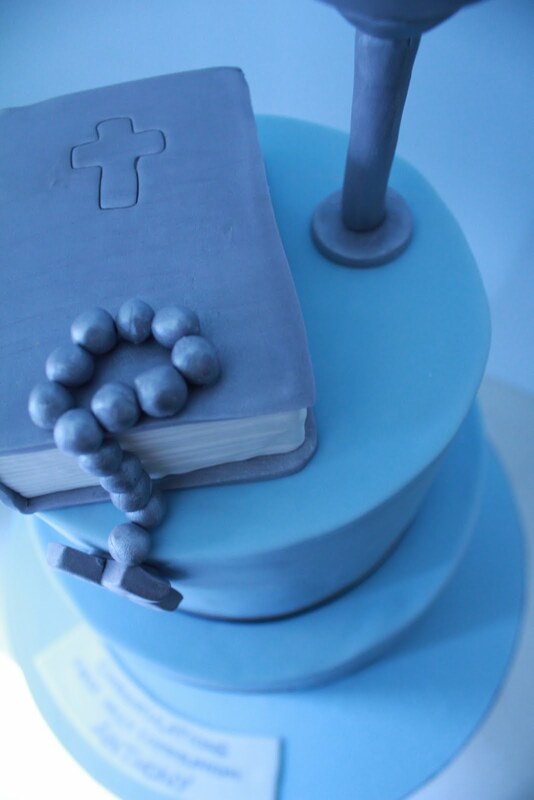 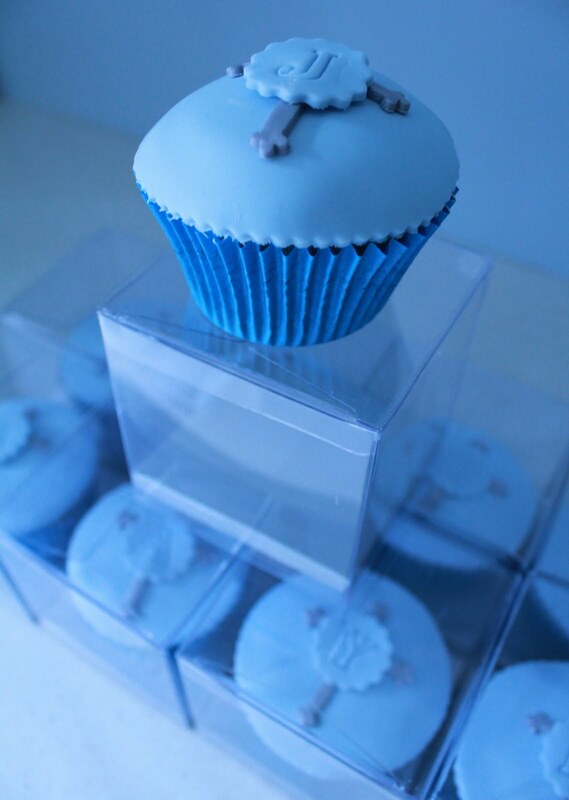 The simple and elegant lines of the cake, have proven to be a winning formula for this boys religious milestone. 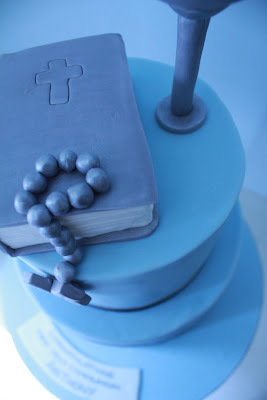 The cake is chocolate mud cake with chocolate ganache. 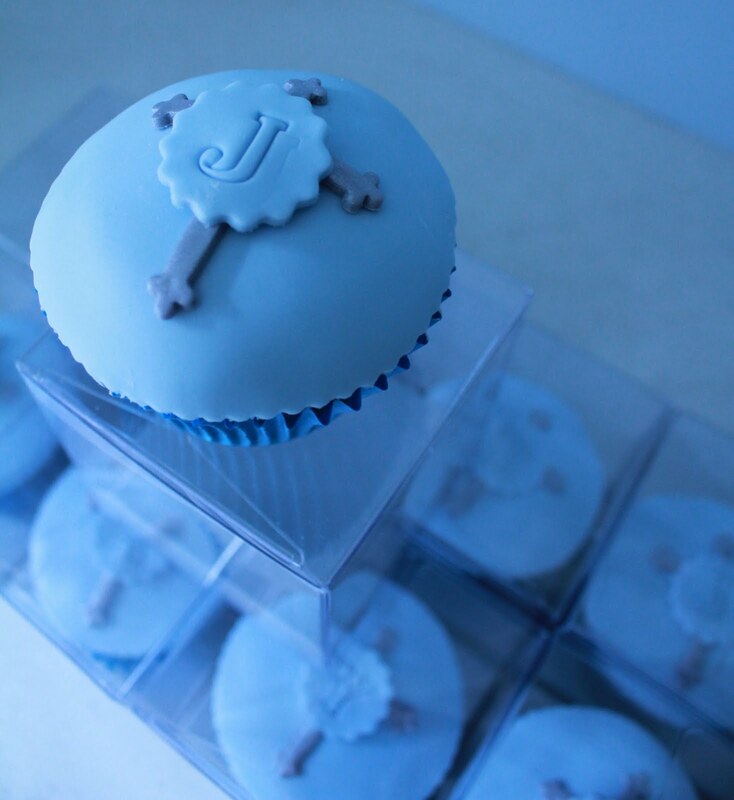 The matching boxed cupcakes are gifts to children at the function. They were made to match the theme of the cake and each child had their own initial on the cupcake. The cupcakes are white chocolate raspberry mud cakes. Congratulations on your First Holy Communion Anthony!